Right from the start of my photographer adventure, it was pounded into my head that IMPACT, FOCUS, AND STORY TELLING are key ingredients to a good photo. I would add COLOR OR NO COLOR (black and white) HELPS TOO. Here are some photos that get the point across. Tells the Story and has impact. 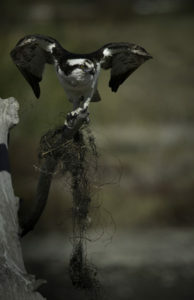 This Osprey flew with this long piece of moss like material and landed not too far away from me. I was ready with my 500mm. 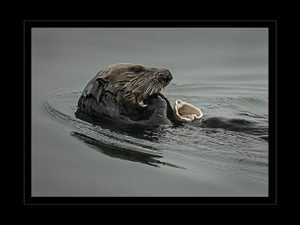 Story and Impact- Sea Otters are really fun to watch. They have really strong teeth. They seem to always be playing. 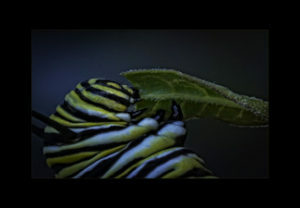 Story, Impact, Focus and Color- This is a Monarch larvae. I read that the Monarch butterfly will be extinct in 20 years. In past blogs, I mentioned look behind you. I was walking with my back to this sunset because the tide was rising fast and I did not want to get caught without an exit. Every 100 feet or so I would turn around and shoot, turn around and shoot. This was one of the many shots I got. 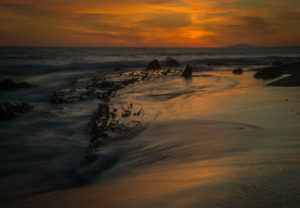 I used a tripod and slowed the shutter down along with a Variable Neutral Density Filter. Simple but tells the story, has impact and is colorful.